This rabbit has been in my freezer since last season. Frozen in a block of ice. I shot this rabbit in a green field with my good friend Mike McMillan of Brent, Alabama. Not one for letting game go to waste, I skinned it and threw it in my cooler. Here is the jist on rabbit, it really does taste like chicken. Now not the steroid, HGH, Lance Armstrong chickens we buy at the store. more like a yard bird. A little tougher than most of us are used to. Think of this, if you were in a fancy French NYC restaurant this rabbit would have cost you about $25 bucks. Now it would have been braised in a light wine sauce with some organic embryo carrots, so I guess you got your money’s worth. I kicked this rabbit out of a briar patch and got it for the price of a 22 long-rifle. Anyhow, rabbit is good, just ask the French. First thing I do is soak it in milk for about 8hrs. Buttermilk is the best but I am not going to buy buttermilk just to soak one rabbit. Use the milk you have if you want to save a buck. After a good milk brine in the fridge I take it our a couple hours before I cook it so it’s not ice cold when I drop it in the grease. Now the recipe. 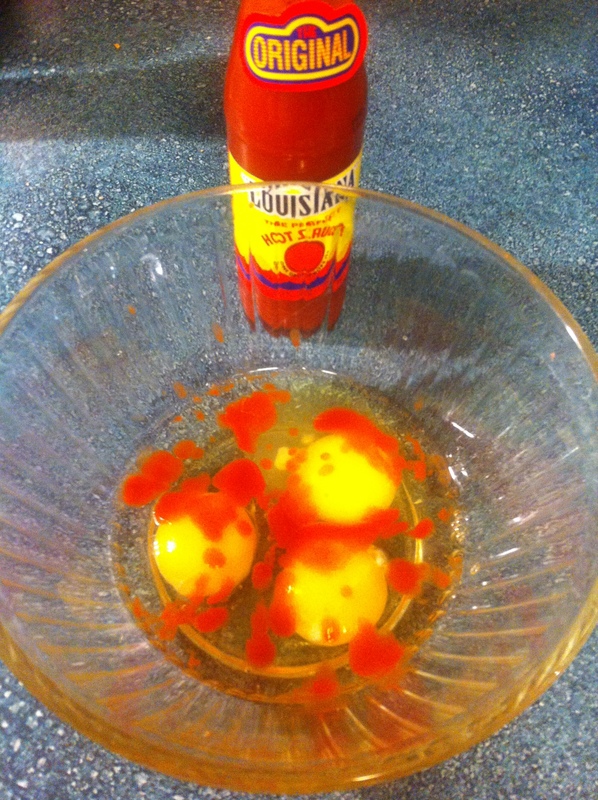 Create you a good egg wash with a little bit of hot sauce. I like Louisiana but Texas Pete or another will work. Now set the egg wash to the side, I am getting ahead of myself. Season the rabbit a little before you add the batter. 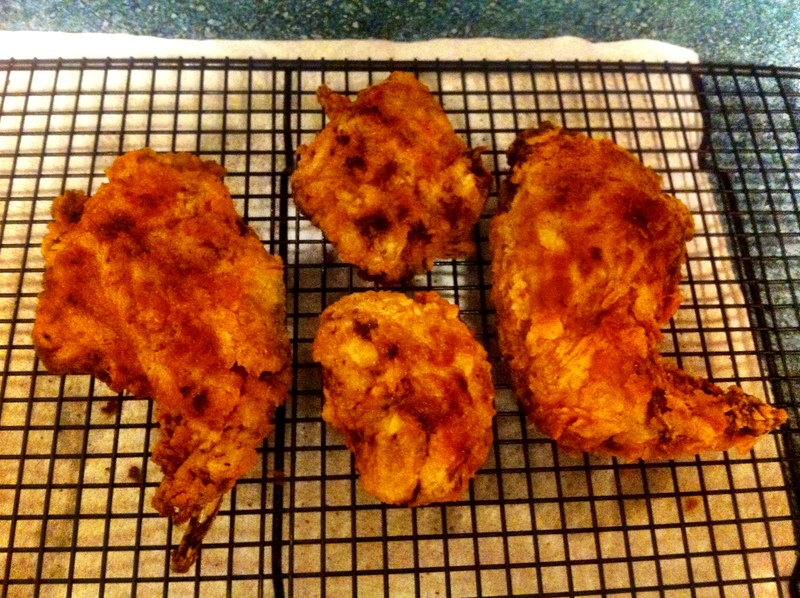 I chose the Cajun Seasoning from Southern Flavor Seasonings out of Selma, Alabama. This is a family owned company that makes a great product, their charcoal seasoning is awesome on steaks. Check them out at http://www.southernflavor.com. 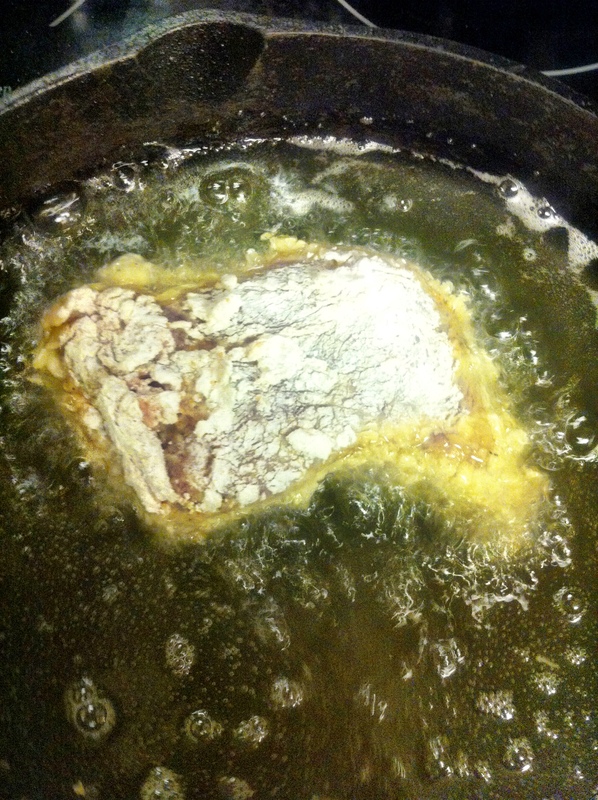 Now here is the trick to a good crust. 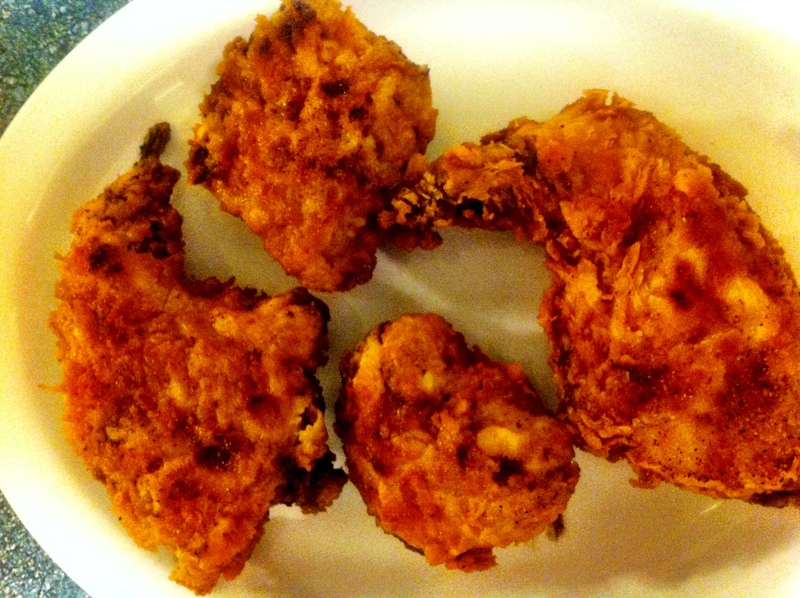 A rabbit really has no skin like a chicken does, so it’s hard to get that good crispy crust. So first you want to dredge the rabbit in flour. This picture has a special meaning to me, after I took the pic I had one of those flash back moments of good memories. 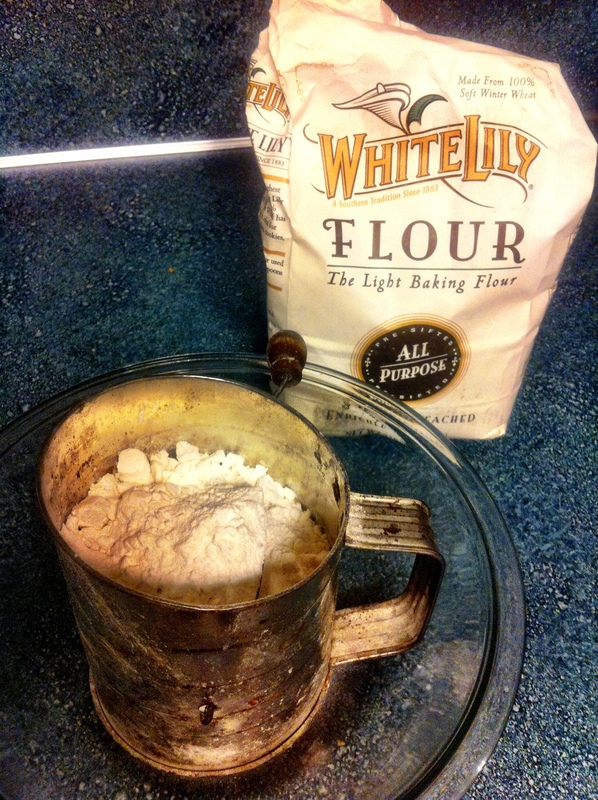 You see my grandmother “Sophie” always told me to use White Lily flour, she said it was the best. 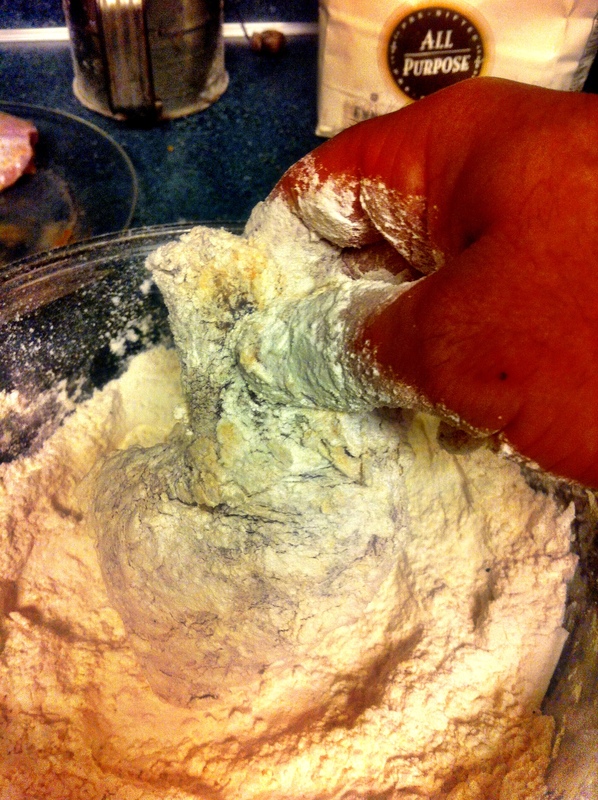 My Big Mama and Memaw had a flour shiftier, just like the one you see in the picture to make homemade biscuits. I purchased this one at an antique store some time ago. 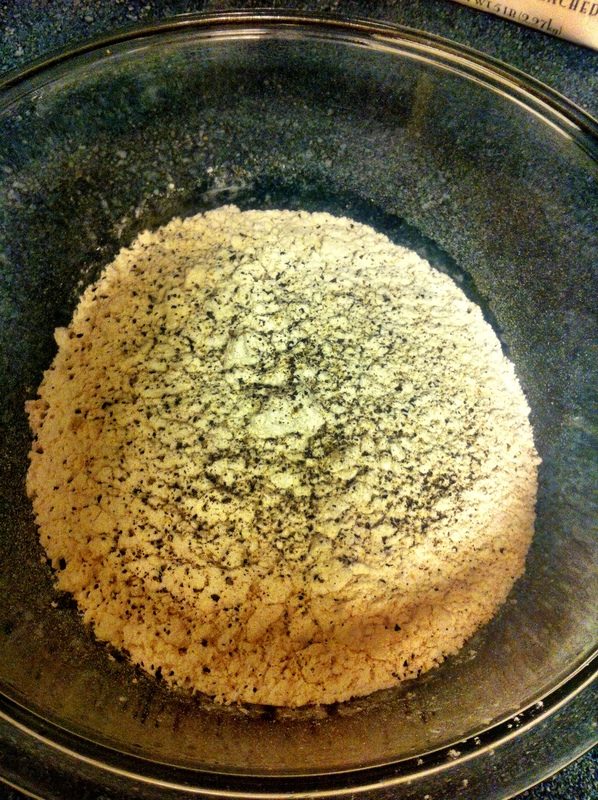 Put a little fresh cracked pepper in your flour. Here it is real simple. Flour, shake, egg wash, more flour, shake, cook in grease!! The double batter is the trick when you have no skin. Two choices for a cooking vessel, iron skillet or electric skillet. I like both, if i have a ton of frying to do I go electric skillet. The rabbit was crying for the iron skillet, just to get that good char. Cook time is around 5-6 minutes on the first side and about 4 on the other side. 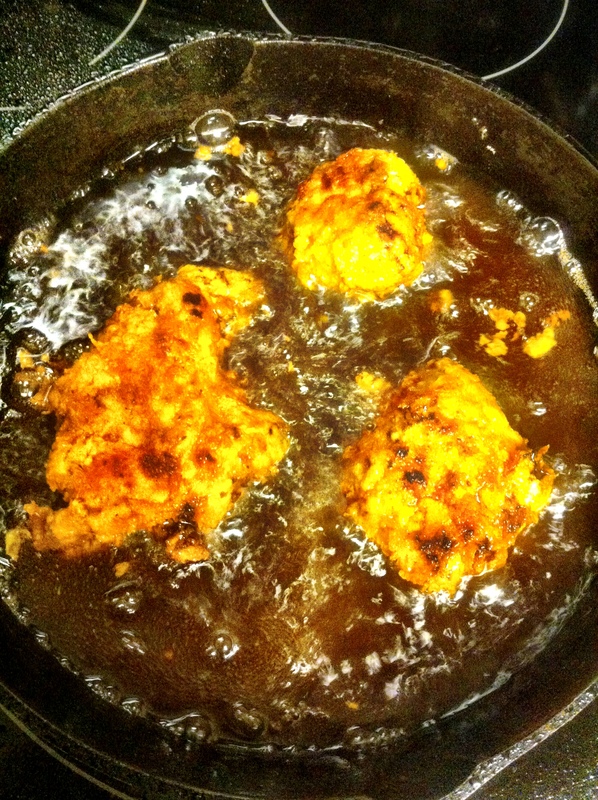 A little over medium on your electric range or about 400 degrees if you want to get technical. Check out this golden color. Looking good. I like a good crunchy rabbit so I like to drain on a rack instead of a paper towel. 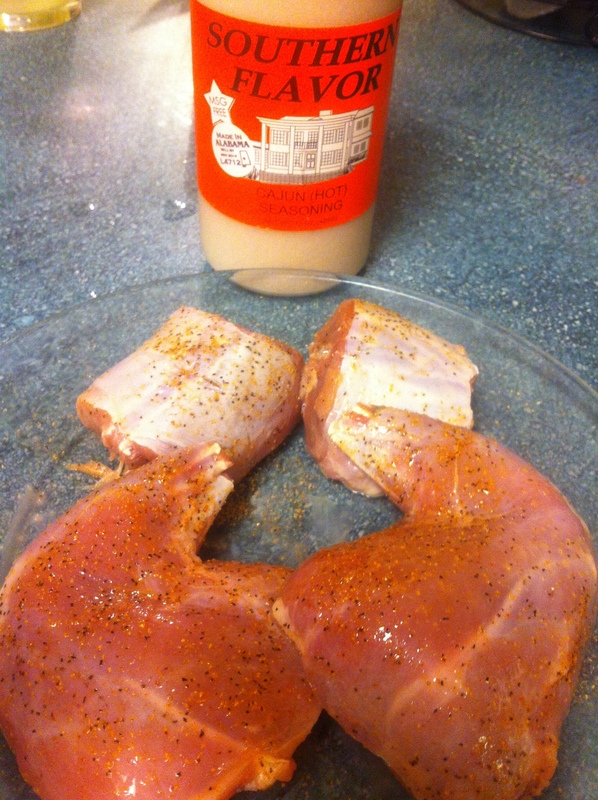 When it comes out of the grease I sprinkle a little more Cajun seasoning from http://www.southernflavor.com. This recipe is a storyboard, start at the top and follow. Everything can be substituted. I used vegetable oil because that’s what I had. Use what you have and don’t drop 30 bucks trying to follow the recipe to the T. Hope you enjoy! !